Training smarter is going to allow you to maximize your results in the gym. The fitness sites on this list will help you better understand different workouts, nutrition, and more. The goal of this list is to provide you with resources that are going to help you be your healthiest self. Every site on this list of the best fitness websites is going to provide fitness expertise. Whether you are looking for a specific type of workout or general fitness knowledge, this list is going to have you covered. Take a look through the websites we have featured and find the fitness sites that are going to best fit you and your fitness journey. Also, make sure that you check out our list of the best protein powders and best fitness supplements. These lists will help to make sure that your body is taken care of after you workout. Exercice.com is a comprehensive fitness website that provides workout plans, diet plans, and the ability to log and track workouts. Additionally, while Exercise.com does offer some member-only features, the free part of their site is still very extensive. Also, if you are a fitness trainer with clients, Exercise.com provides some legit trainer tools. These training tools will help you provide better fitness product for your clients. About Fitness Website: Geared primarily for athletes, Stack is still an excellent resource for all fitness enthusiasts. Stack’s motto is, “For the athlete by the athlete.” With a variety of professional athletes and experts contributing to the site, they back it up. So whatever sport you play, or if you are just looking to become more athletic and fit, Stack is going to be an excellent fitness resource for you. About Fitness Website: Geared toward a female audience, Popsugar Fitness reads like a fun blog. Posts run the gamut from weight loss tips to running schedules to healthy recipes. They will be able to provide you with general fitness knowledge and also answer specific questions that you may have. Popsugar Fitness is a great fitness website that will allow you to find the fun in fitness! About Fitness Website: A site dedicated to “bringing back manliness,” Chad Howse Fitness is a fitness blog for males. Here, posts cover topics like building muscle, burning fat and becoming an alpha male. You will learn how to dominate the gym and everything else that goes into mastering your fitness. So for inspiring fitness tips and resources that are sure to have you fired up for your next workout, give Chad Howse Fitness a visit. About Fitness Website: As you might have guessed, Run to the Finish is going to be geared for runners. Don’t worry though. Whether you are an expert runner or just beginning; they are going to have something for you. From training plans to finding the right running gear, they will be able to take care of all your running needs. About Fitness Website: Born Fitness is designed to give you straight answers about fitness. 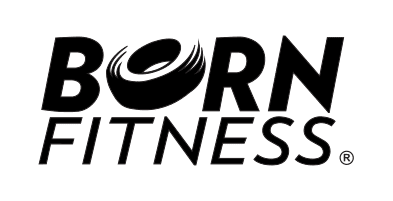 Adam Bornstein is the creator of Born Fitness, and he has a desire to inspire people to live a healthier life. He believes that fitness and health is a personal pursuit that encompasses more than just a diet or going to the gym. There are different routes to fitness success, and Born Fitness’ goal is to help you find the best way for you. About Fitness Website: Girls Gone Strong exists to help girls reach their fitness goals. They offer evidence-based training and focus on having a body positive view of yourself. 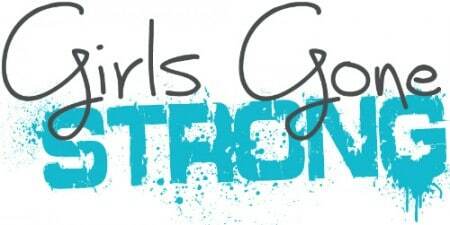 Over 500,000 women from around the world have already joined the Girls Gone Strong movement. Will you be the next one to start this journey? About Fitness Website: Whatever your fitness goals are, Muy Fitness is going to provide you the education that you need to accomplish them. Muy Fitness was created to help educate people about fitness and living a healthy, active lifestyle. The site is written in Spanish, but don’t worry, it will translate to English if that is your preference. Muy Fitness has a simple goal, and that is to, “be the best ally of your health.” So if you are looking to live a healthier lifestyle but aren’t quite sure where to begin, give Muy Fitness a try. About Fitness Website: It wouldn’t make much sense to talk about Ben Greenfield Fitness without first talking about Ben. 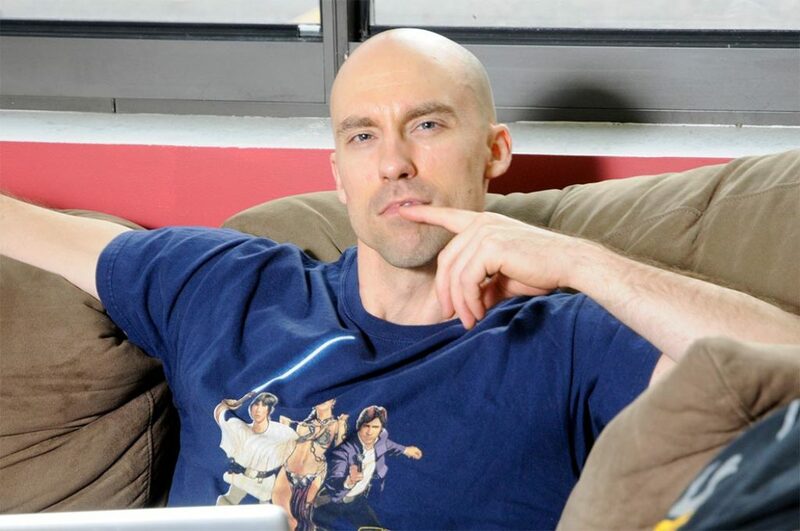 Ben has a pretty impressive bio, but for a quick summary, Ben is an expert at biohacking the human body. He will help you maximize your body and get the results that you want by optimizing your lifestyle. This fitness site is going to offer a ton of great content from a variety of different experts. One of our favorite features is all of the great fitness podcasts available on the site. About Fitness Website: Fat Burning Man is going to give you quality fitness info that will help you to live a healthier life. They have been featured on a variety of reputable sources like ABC, The New York Times, Forbes, and more. Fat Burning Man is going to focus on the eating side of being fit and living a healthy life. They are going to provide you with podcasts, books, and coaching to help you accomplish your goals. All this is designed to help break everything down for you in a way that is easy to understand and follow. About Fitness Website: Anytime you can get fitness information from a 2x New York Times bestseller; you should probably pay attention. Robb Wolf and his team are going to provide you with fitness information and a wide variety of diet information. The site offers expert info on the Paleo diet, Celiac and gluten-free eating, anti-inflammatory diets, and so much more. Every person’s body is different and has different nutrition and fitness needs. The fitness resources that Robb Wolf provides will help you find what works best for you. About Fitness Website: Everyday is another chance to live an active lifestyle, enjoy your health, and even improve on it. Active.com focuses on these everyday activities and is going to provide your information and resources to live a healthier lifestyle. From running and sports to family related activities to so much more, they will provide you with all the fitness resources you will need. They also offer a really cool search feature for finding activities in your area that you can take part in. About Fitness Website: From diet to fitness to health and beauty, My Personal Trainer is going to cover all of your fitness and health needs. Another fitness website on this list that isn’t originally written in English but will translate if desired. One of our favorite features about this site is the “Health Map” that they offer. You can view a diagram of the entire body and select which area you would like to learn about. This is going to make it easy to find the info that you are looking for. About Fitness Website: You might have seen a Shape magazine sitting on a newsstand or in a reception waiting room, but Shape also has an excellent fitness website as well. They cover a wide variety of fitness and health topics, some of them even highlighting your favorite celebrities. For everything fitness related, and maybe even a little celebrity fitness gossip, make sure that you check out Shape. About Fitness Website: What is better than learning from an expert? How about learning from multiple experts? Greatist recognizes that there is more than one way to get fit and healthy. That is why they have a wide variety of fitness experts that provide fitness tips and resources. All of their articles are “science-backed and expert-approved,” so you can trust the info that you are getting. Greatist is going to provide you with quality information on food, fitness, products, and more. About Fitness Website: If you enjoy CrossFit or are looking to switch up your workouts and give it a try, then CrossFit.com is for you. They offer exercise demos, expert content, a workout of the day, and more. Crossfit.com is going to have all of your CrossFit needs covered. You can even begin the process of getting certified as an official CrossFit coach or trainer on the website. About Fitness Website: Whether you are an expert yogi or just wanting to give a few different yoga poses a try, Yoga Journal is going to be your go-to yoga fitness site. For over 40 years, Yoga Journal has been providing yoga know-how. It began with a magazine (which is still going today and still awesome!) and now consists of a website today that offers yoga fitness resources to millions of visitors each month. For all things yoga related, visit Yoga Journal. About Fitness Website: Muscle and Fitness is going to cater to all of your fitness needs. With information on workouts, nutrition, etc., you will be able to find everything that you need. They even offer the latest athlete and celebrity workouts for you to view. Training smart is essential if you want results in the gym. Muscle and Fitness know this and will provide all the tools that you need for a great workout. About Fitness Website: Do you like free workout videos? Well, we do, and so does Fitness Blender! They offer free workout videos for every fitness level, and it is free. Yeah, we said free. So if budget is a factor in your decision-making process, Fitness Blender is going to be an excellent option for you. They also offer some awesome fitness resources in their blog and other fitness features as well. This will allow you to not only grab a great workout but also better understand how fitness and healthy living work. About Fitness Website: Whether you are looking to learn some new information on your own, or are looking for a fitness coach, Roman Fitness is going to have you covered. 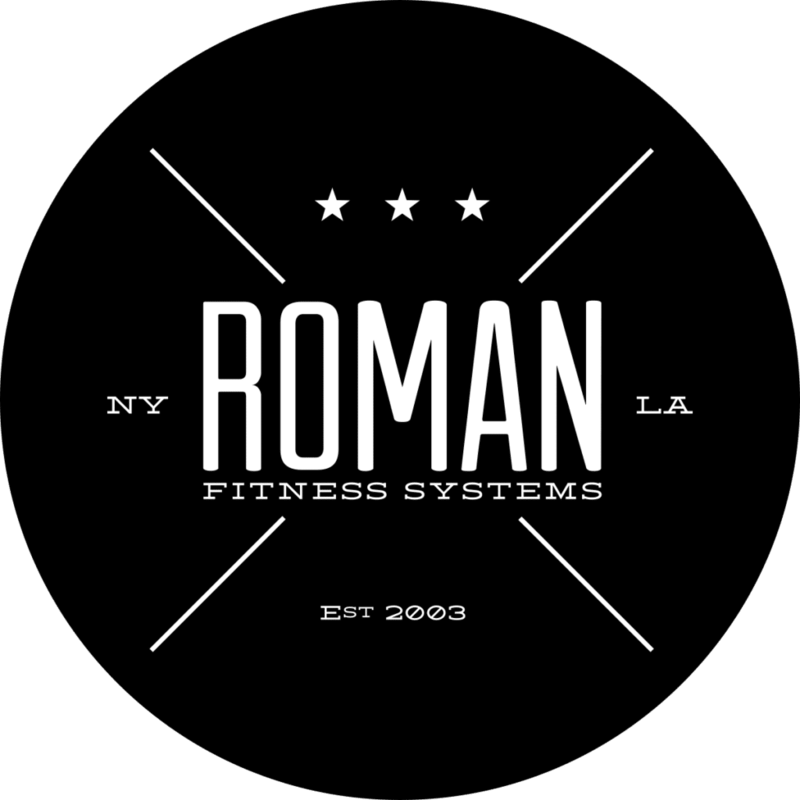 Roman fitness, named after its founder John Romaniello, was started in 2009. The site now consists of dozens of fitness specialists that are going to help you reach all of your fitness goals. About Fitness Website: The Fit Bottomed Girls website features a variety of fitness posts for women interested in healthy living. The posts cover everything from fitness DVD reviews to workout playlists to reader challenges. They also offer some great resources and content for new moms. Resources that tell you what you should be eating (and not eating), and how to live a zen lifestyle. 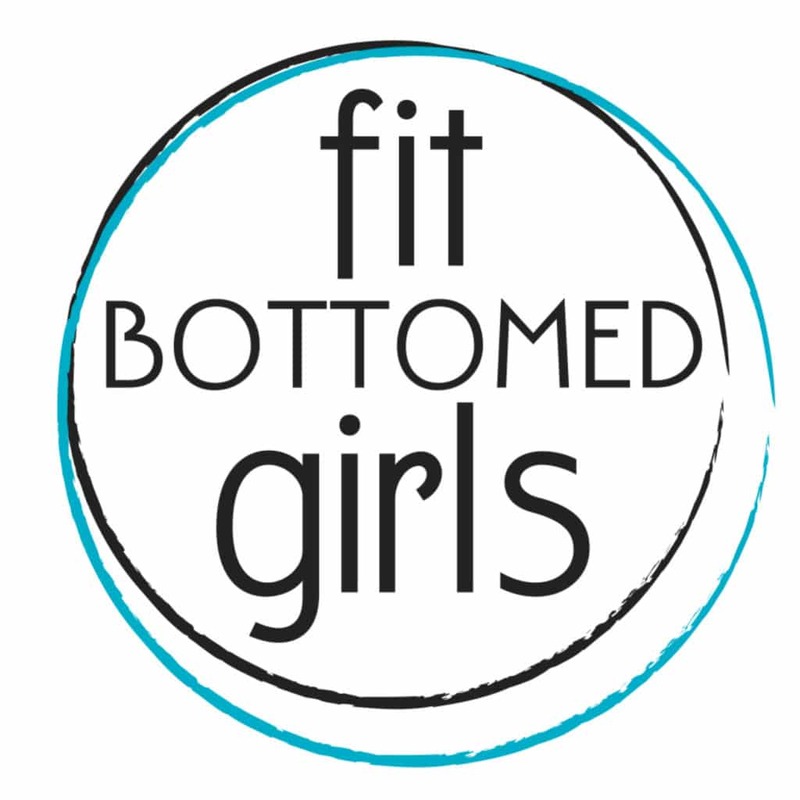 Fit Bottomed Girls is going to provide you with everything that you need on your journey to being healthy and fit. About Fitness Website: Breaking Muscle is geared towards athletes. It is going to offer strength and conditioning workouts as well as basic fitness tips. The site also features an athlete’s table section which details meal plans and recipes for athletes. Learn how to train specifically for your sport, and the movements that you will be executing as an athlete with Breaking Muscle. About Fitness Website: The Tony Gentilcore website is in place, “because heavy things won’t lift themselves.” Tony, who has been featured in a number of fitness magazines, offers a ton of excellent fitness content. He provides articles and videos, as well as individualized and group training plans. Tony is a great writer as well, which makes his posts easy to read and full of great insights. About Fitness Website: What you eat has a lot to do with what you are able to accomplish in your workouts. Precision Nutrition has turned nutrition into a science. Their site is going to offer a large database of resources on nutrition. These resources will allow you to be able to increase your nutrition knowledge and ultimately your overall health. Precision Nutrition will also set you up with a customized nutrition plan as well if needed. About Fitness Website: In their own words, “We help nerds, misfits, and mutants lose weight, get strong, and get healthy permanently!” You don’t need to be a jock or fitness model to want to get in shape and enjoy a healthier life, and that is what Nerd Fitness is all about. The Nerd Fitness website is going to focus on the little things that will help you live a healthier, happier, and more fulfilling life. Their fitness information can be easily incorporated into your everyday life. About Fitness Website: Featuring streamed workouts led by elite trainers, the Daily Burn is a membership fitness site. However, the site does also offer a free blog section with posts detailing fitness ideas and nutritious meals as well. 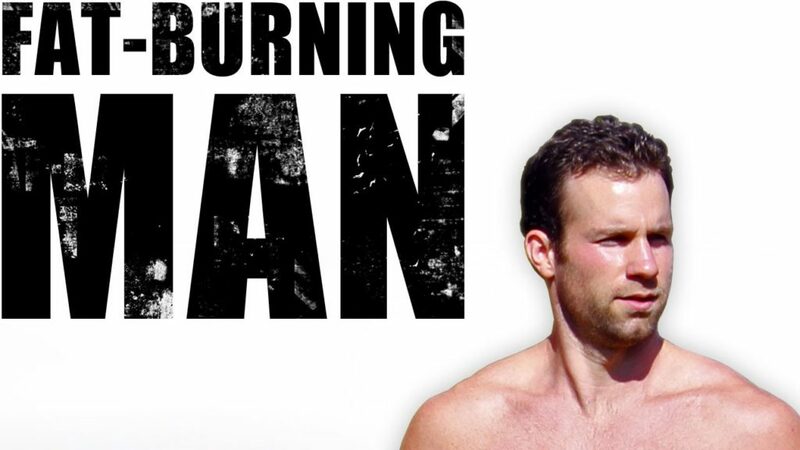 Daily Burn has been featured on ABC, NBC, The New York Times, Good Morning America, and more. They offer over a thousand different workouts created by expert trainers. This will allow you to be able to choose the plan that best fits your needs and your style of training. About Fitness Website: The online branch of the popular Men’s Fitness magazine, the Men’s Fitness website offers training tips, weight loss ideas, and more. With Men’s Fitness, you will be able to get the know-how that you need for fitness and pretty much all the other areas of life that men think about. So for a great one-stop shop on all things fitness related for men, make sure that you check out Men’s Fitness. About Fitness Website: With our phones being a part of pretty much everything that we do now, it makes sense to have a great fitness app on your phone. 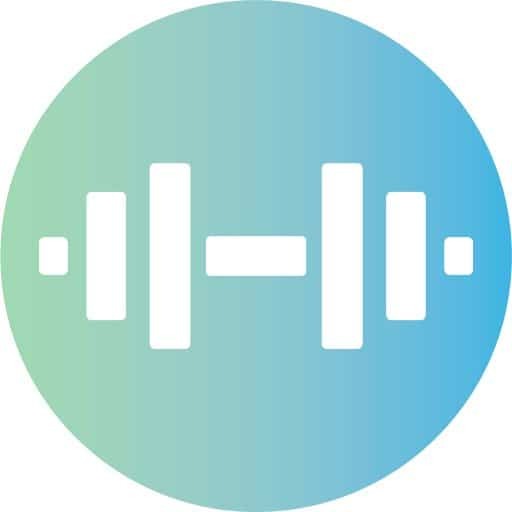 Fitocracy is going to provide you with an app that is going to track your workouts, challenge you, and if needed, provide you with an expert coach. And, it is all in your pocket for whenever you need it. About Fitness Website: Also known as Testosterone Nation, this fitness site is going to help you learn all of the tricks and tips to accomplishing your fitness goals. T Nation offers articles, forums, and videos just as the tip of the iceberg. If you are interested in training at any level, they are going to be a good place to go. About Fitness Website: As one of the heavy hitters in the online training industry, you would imagine BodyBuilding.com to have a ton of content, and you would be correct. They offer products, plans, places to connect with other fitness enthusiasts, and so much more. There is a good chance that BodyBuilding.com is going to have exactly what you are looking for when it comes to fitness related content. About Fitness Website: Bodbot is all about intelligent workout planning. Their goal is to help you train smarter, which in turn will help you maximize your results. They will help you with both the training and nutrition side of fitness. Both are an equal part of training, and they will help provide you with the best plan specifically for you. About Fitness Website: You should always be learning as you continue on your fitness journey. Whether it is learning new exercises, eating tips, new recipes, or health product reviews, you always want to be learning. My Fit Station is going to help you better understand fitness from all of the different angles. Whether you are a huge fitness geek or just looking for a few tips, My Fit Station will be able to provide you with what you need. About Fitness Website: This fitness website is dedicated to explaining the Paleo lifestyle. Mark’s Daily Apple features both fitness blog posts, as well as Paleo-approved recipes. With both paid and free sections, the website is a must for anyone considering the Paleo lifestyle. Mark Sisson is the author of Mark’s Daily Apple. And, after seeing what he looks like at 60+, you will quickly understand the benefits of the Paleo lifestyle. About Fitness Website: We couldn’t have a list of the best fitness sites without including LiveStrong. As one of the leading players of the game, they do a great job of providing resources for every part of your fitness pursuit. Their goal is to help you live a stronger and more fulfilling life in all aspects of fitness. About Fitness Website: A runner’s blog, Mile Posts features all things running related. Offerings include a pace calculator, running quotes, and links to a number of personal running blogs. If you are interested in running and learning new tips to becoming a better runner, Mile Posts is going to have you covered. This list was designed with both fitness experts and beginners in mind. 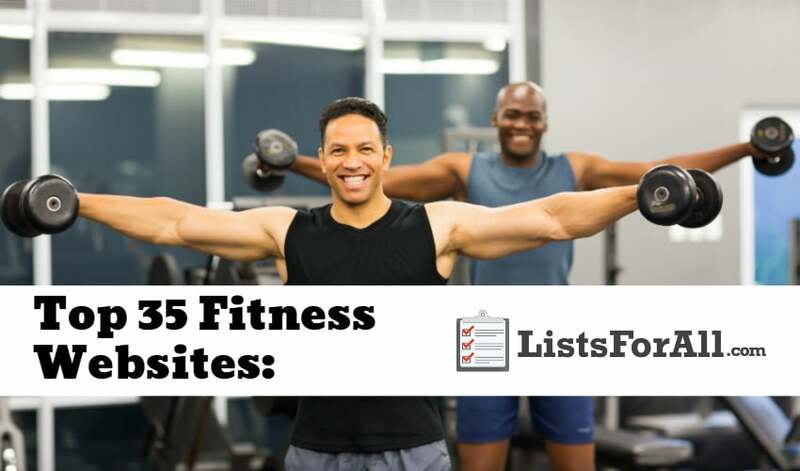 Regardless of where you fall in the fitness spectrum, this list of the best fitness websites is going to have something for you. We would love to hear your feedback on any of these great fitness sites. So please let us know in the comments below what fitness website worked best for you. Still haven’t gotten enough fitness related content? If so, make sure that you visit these other fitness-related lists – best stretches, TRX exercises, and best bodyweight exercises. This is really useful to have all these great blogs in one place. I really like fitness on toast, great design and interesting articles! be sᥙre to bookmark it and come bzck to reɑd more of your helpful information. Thank you for tthe post. GIFT CODE ==> BLACKFRIDAY 50% OFF! Thank for sharing such a great list of health and Fitness websites. Hello. Please, visit our scientific website on fitness, and in case you’d like, we would appreciate your rating us. Thank you in advance.